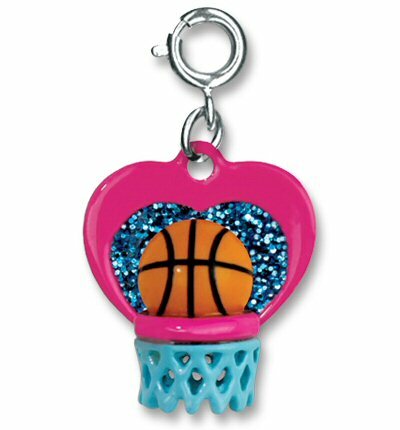 Your basketball star's winning spirit is sure to shine through with this fun I Love Hoops basketball charm. With a beautiful blue glitter heart on a hot pink enamel heart-shaped backboard and an orange basketball just waiting to drop into the blue and pink hoop, this 3-dimensional basketball charm is a fun and spirited addition to charm bracelets of all kinds. Easy to add or remove with the simple snap of a clasp, girls can add a splash of personality to their charm bracelets with this CHARM IT! I Love Hoops basketball charm. This fun Basketball fabric wall art is a wonderful addition to any sports or basketball theme. Create a girls sports lover's paradise with these awesome Sports Star wall decals featuring sports balls, trophies, ribbons, and stars.